Putting together a good conference gets expensive. Pulling together people who can educate as well as inform even more so. This conference is a project of Minnesota Atheists; Campus Atheists, Skeptics, and Humanists; and Secular Woman. None of us have the budgets of organizations who regularly put on this kind of conference (Center for Inquiry, Secular Student Alliance). That means we need to have a good idea of how many people are interested in this conference–and how many people are willing to support it monetarily–before we spend that money. 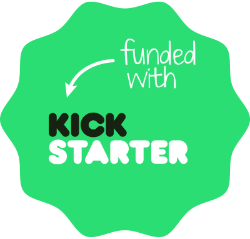 Kickstarter lets us do that. To the best of our knowledge, no one has Kickstarted a conference in the secular movement. No one has sold the tickets for their conference in such a compressed timeframe. We’re stepping out into the unknown and taking a risk. We’re confident that the support we need to run this conference exists, though. Go check out the Kickstarter. Get your ticket before they’re all gone. (They’re not refundable, but they are transferable, and we’ll work to help you find someone to take your ticket if it turns out you can’t attend.) Get your t-shirt and/or your SurlyRamics necklace. Get your sticker. Advertise with us. Spring for a special dinner. Or just kick something in to help us make this conference everything it can be. If you can’t do any of that, make sure the conference and Kickstarter are seen by the people who would want to come, the activists who want to get even better at what they do. This is how we’ll make this conference happen.